Should you decide to bet on this draw and purchase some Greece Lotto bet slips then you will be participating in a draw that first launched in the back end of 1990. The draw is run by the reputable Greek company OPAP, a firm responsible for overseeing and operating many lottery draws in the Greek nation. Those who elect to buy Greece Lotto bet slips will then have to decide which numbers they would like to select. 6 numbers must be picked from 49 numbers available, which unsurprisingly start at a low of number 1 and reach a high of 49. Some with Greece Lotto bets pick their numbers at random whilst others focus on numbers with significant meaning to them such as birthdays or anniversaries. However bettors decide to pick their numbers the aim will be same, to match all 6 numbers with those drawn and land the jackpot. Jackpots in this draw can grow sizeable as there is no cap, and the jackpot can rollover indefinitely. A bonus ball is also drawn although this has no influence on any jackpot matters. 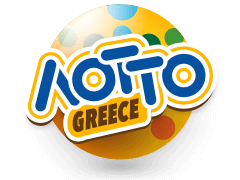 If you do decide to bet on this draw and procure some Greece Lotto bet slips then it is likely you will want to check your numbers soon after each draw. We will always have the latest results on our website for this bi-weekly draw and the days for your notebook are Wednesday and Saturday.